BONN, Germany – Even as its representatives participate in the United Nations Framework Convention on Climate Change (UNFCCC) conference in Bonn, Germany from Nov. 6 to 17, the government is pushing ahead with plans to expand the number of coal-fired power plants to address a serious power shortage in the country. 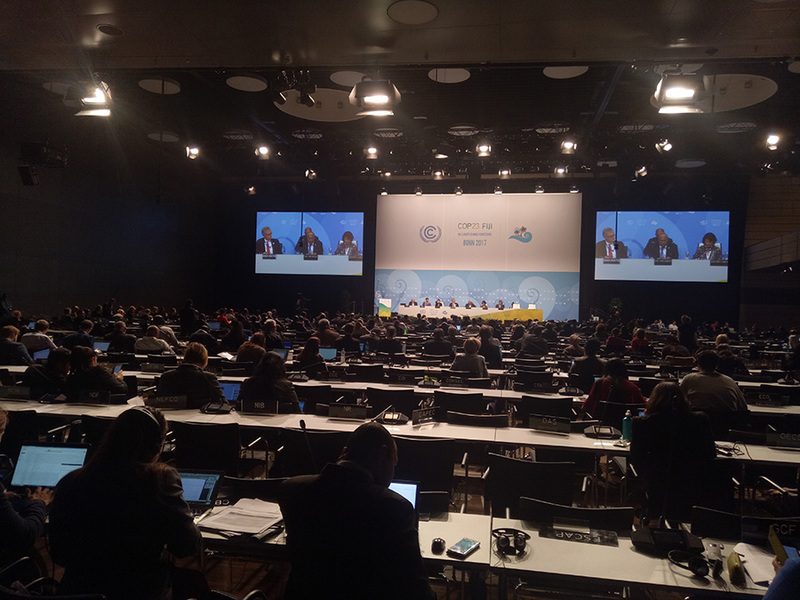 The 23rd Conference of Parties (COP23) is a global conference involving nearly 200 nations and some 30,000 participants, including government officials, scientists, technocrats, environmentalists, civil society organizations and non-governmental organizations. Its ultimate goal is to keep global warming below 2 degrees Celsius. One of the aims of the Bonn conference is to secure $100 billion in funding for adaptation and mitigation projects starting from 2020. Although Myanmar is not listed among the top-10 CO2 emitters in German Watch’s 2017 index, the government’s energy policy can hardly be said to prioritize emissions reductions. Last week, the speaker of Karen State Parliament Saw Chit Khin reiterated the regional government’s coal-fired power plant policy. The speaker said electricity would be provided to villagers by setting up clean-coal power plants in the state. Villagers would no longer have to enter the forests and cut down trees for firewood. The state government has given a green light to Toyo Thai Company to build a 1,280 MW coal-fired power plant in Hpa-An Township. “No more rice cooking with firewood and no more cutting down trees,” said Saw Chit Khin. In fact, the electrification master plan was originated by ex-president Thein Sein’s administration, which commissioned 10 coal-fired plants across the country. These would join the Tigyit coal-fired plant, which is located in Shan State and already generates electricity. In April 2015, the government signed an MOU to commission a $2.8 billion coal-fired plant in eastern Myanmar’s Mon State. Several thousand Mon residents have staged a series of protests against the coal-fired power plant project in recent years. However, Electricity and Energy Ministry Deputy Director General Hein Htet — one of the delegates attending COP23 in Bonn — has said that only one coal-fired plant, in Karen State, had been approved, with all other MOUs on hold. Under the National Electricity Master Plan (2015-16), the government intends to adopt a mixed-energy system to fuel the country’s power grid. It calls for the nation’s electricity supply to be fueled 63 percent by hydropower, 32 percent by natural gas, 3 percent by coal and 2 percent by diesel. To meet energy requirements beyond that, the government aims to increase the coal portion to 22 percent, with hydro falling to 54 percent and gas falling to 22 percent, with a mere 2 percent of power supplies fueled by renewables in fiscal years 2020-21. By 2030, the government targets 33 percent of the power supply being fueled by coal-fired plants (up by more than 10 percentage points from 2020-21), 38 percent by hydropower, 20 percent by gas and 9 percent by renewable energy sources. Hein Htet said the National Electrification Master Plan (NEMP) was drafted by the previous government and revised by the National League for Democracy-led government after it took office in 2016 to adjust the ratio between the various power sources. The director-general said in a statement that the government planned to increase the contributions of hydropower, gas and coal-fired plants even further in the future, but declined to provide details. The finalized master plan is expected to launch in early 2018. U Hla Maung Thein, the director general of the Ministry of Forestry and Environmental Conservation and head of Myanmar’s delegation to COP23, said Myanmar ­ranked at the top of the Global Climate Risk Index 2018 report. 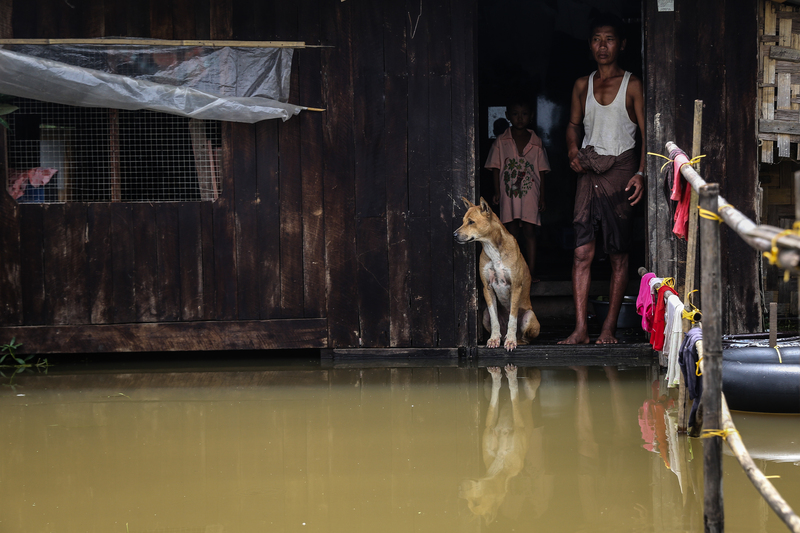 He added that the country’s vulnerability to natural disasters was demonstrated by Cyclone Nargis in 2008, which took 140,000 lives and displaced nearly 2 million people after sweeping through the Irrawaddy Delta. 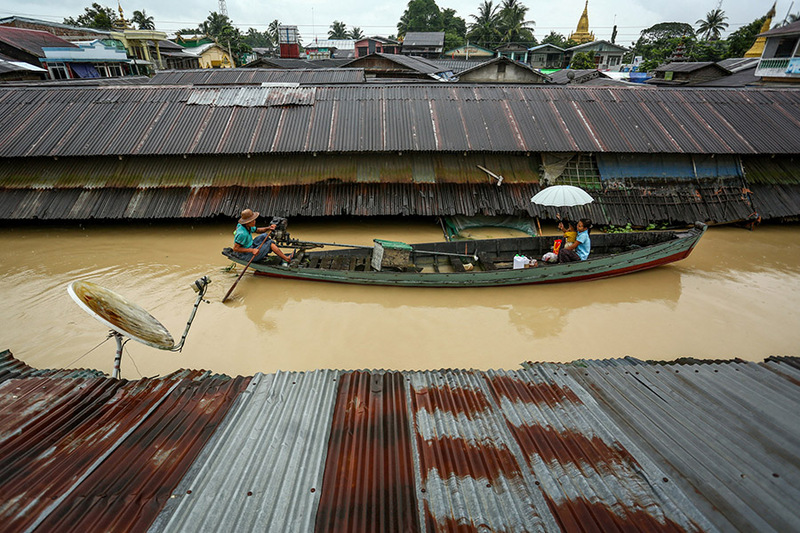 As the military government transitioned toward democratic rule after Nargis, the country’s economic growth began to improve, with the World Bank estimating in 2015 that Myanmar’s GDP would reach 8.5 in 2015, but severe flooding the same year cost the country. According to World Bank statistics, Myanmar’s GDP growth declined from 7.3 percent in 2015 to 5.9 percent in 2016. The country’s economic performance should improve this year and next, however, with growth forecast at 7.7 percent in 2017 and 8.0 percent in 2018, according the Asian Development Bank. He said the government has to consider an integrated approach to achieving energy sufficiency by producing electricity from fossil fuels, oil and gas, hydropower, solar power and wind turbines. Along with these sources, the government will apply the latest technology to build coal-fired plants during a transitional period of economic growth, he said. “We want everyone to have electricity by 2030,” U Hla Maung Thein said. Regarding the latest-technology coal-fired power plants, environmentalist Nur Hidyati, executive director of WAHLI Friends of Earth International (Indonesia), pointed out that her country has at least 100 coal-fired power plants, which provide 35,000 MW of power across the nation. Construction of the plants was mostly funded by Chinese and Japanese investment. “There is no such thing as clean coal technology. You cannot burn coal without producing emissions. This process creates serious pollution. Coal is dirty and coal kills; a lot of children have already died in my country,” Nur Hidyati said. She urged the Myanmar government to learn from Indonesia’s experience, explaining that burning coal emits invisible coal dust particles into the air, which are inhaled by people living near power plants. This causes damage to the respiratory systems of local residents over time. Moreover, the particles can also cause acid rain, which is devastating to the livelihoods of farmers. Globally, the huge scale of emissions leads to climate change. Myanmar is not the only country turning to coal-fired power plants to address energy shortfalls; even the wealthiest countries in the world, including European Union members, currently operate coal-fired plants and are reluctant to subordinate their economic agendas entirely to the need to reduce carbon emissions. Under the Paris Climate Agreement signed last year, the wealthiest countries agreed to help finance mitigation and adaptation projects in least developed countries. Other countries are encouraged to provide support on a voluntary basis. However, no developed country has yet to match the amount pledged in the final agreement. In fact, the world’s most powerful country, the US, has vowed to withdraw from the agreement under President Donald Trump. Ministry of Electricity and Energy official Hein Htet pointed out that China — the largest carbon emitter in the world – is also focused on its national interest, especially its One Belt One Road strategic plan and its energy sector development plan. Although China is trying to promote renewable sources of electricity, it does not plan to completely abolish its coal-fired plants. Rather, it intends to switch to newer coal-fired power plant technologies. “As we are Myanmar citizens, we have to emphasize the national interest. Other countries are promoting their interests and we should focus on our national interest too,” he said. Myanmar is one of the 48 poorest nations that signed the UNFCCC and ratified the Paris Agreement. It has also submitted its Intended Nationally Determined Contribution under the latter. It is therefore in compliance with its commitments in terms of climate adaptation and mitigation activities. Myanmar’s carbon emissions amount to less than 0.10 percent of the global total. On Oct. 30, Global Environmental Facilities (GEF) approved $5 million for three projects in fishery adaptation, biodiversity (rich reef coral) and renewable energy for Myanmar. The government intends to implement the projects in the coastal and delta region’s rural areas. They are part of a $30 million, eight-project plan involving GEF. Last week, US$300,000 was approved for Myanmar for capacity building as a Nationally Designated Authority (NDA) under the Green Climate Fund. It is drafting projects to be submitted for approval. According to Hla Maung Thein, neighboring countries including Cambodia, Vietnam, Bangladesh, and Bhutan have already received project preparation phase funds under the GCF. Myanmar will also draft a proposal with the technical assistance of Korea’s Green Technology Center (GTC) for full project proposal phase funding shortly and expects to roll it out within six months. At COP23, the government and GTC have both signed MOUs securing technical support for Myanmar. “We will draft the GCF proposal when we return to Myanmar,” he said.